A great priced option for street use while still being extremely capable on the track. This assembly provides up to 80% increase in torque capacity and is properly suited for aggressive street use and moderate track use. The Brass Plus material with its alloy backing matched to a performance pressure plate will provide smooth engagement and extended life. 500 mile break-in highly recommended with this set-up. 300-mile break-in REQUIRED with this set-up. (Some kits may not be supplied with all pieces. Please verify with Competition Clutch before ordering). The 2100 Series kit includes a performance pressure plate, a high torque sprung disc with anti-burst steel backed Brass Plus facings, all applicable bearings, and the appropriate alignment. Please note that the images prodided are for illustration purposes only and the clutch kit supplied WILL be the pull type correct for the RX-7 FD transmission. 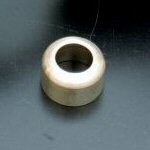 Essex Rotary would recommend changing your pilot bearing and seal out at the same time as doing your clutch, this is an inexpensive part however its often overlooked when doing the job. Stage 3 - Street / Strip Series 2600 Clutch Kit. This segmented Ceramic material with a performance pressure plate will provide the ultimate in street and strip combinations. 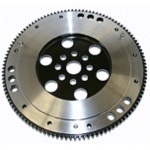 This assembly is suited for up to 150% increase in torque capacity. Provides quick but smooth engagement and extended life. 300-mile break-in recommended with this set-up. Please note that the images provided are for illustration purposes only and the clutch kit supplied WILL be the pull type correct for the RX-7 FD transmission. 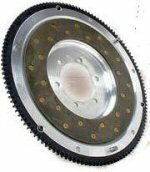 Stage 5 - Strip Series 1420 Clutch Kit. This assembly, available with a double spring, six-rivet carriage is good for ease of gear transition with higher horsepower. 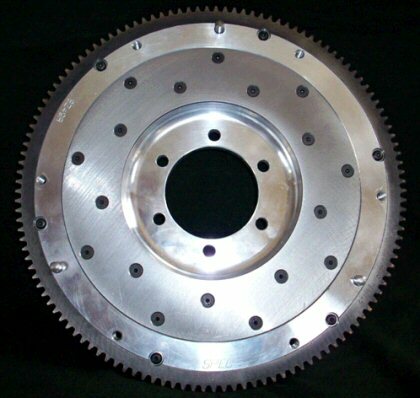 This disc complimented by a performance pressure plate provides up to 300% increase in torque capacity. 300 mile break-in recommended with this set-up. The 1420 Series kit includes a performance pressure plate, a 4 puck high-torque sprung disc with ceramic buttons, all applicable bearings and the appropriate alignment tool. The Mazda 4.30 ratio ring and pinion set is suitable use on the following rotary applications: 1993-1995 Twin Turbo RX-7 and RX-8. This ring and pinion set will decrease your vehicles acceleration rate but increase its top speed. A great modification if your not too bothered about trading a little acceleration for lower cruising RPM leading to a little better fuel economy. 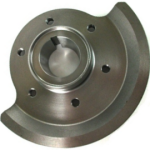 Alternate axle ratios are available for special applications. These ratios interchange exactly with the stock parts and should be adjusted to stock specifications (except as noted on the information sheet supplied with the gear set). If you replace your existing gear set with a lower ratio (higher number) gear set you will increase the vehicle's acceleration and move through the transmission gears quicker, but you will simultaneously reduce the top speed of the vehicle for a given rpm limit. However, if you reduce your existing gear set with a higher ratio (lower number) gear set you will decrease the vehicle's acceleration and move slower through the gears, but the top speed of the vehicle will increase for the same given rpm limit as in the previous example. Special Order only, once you have placed your order for this part it cannot be cancelled. This part is non returnable. The Mazda 4.44 ratio ring and pinion set is suitable use on the following rotary applications: 1993-1995 Twin Turbo RX-7, on some model FD's the factory fit final drive is the 4.3:1 ratio acceleration can be increased by swapping to the slight;y shorter 4.44:1 Gear Set. This ring and pinion set will increase your vehicles acceleration rate, trading a slight decrease in top speed in each gear. This ring and pinion set will increase your vehicles acceleration rate, at the cost of a decrease in top speed in each gear. 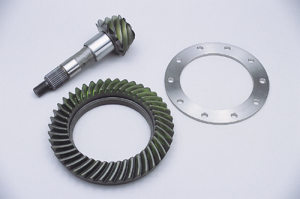 We can not offer this 4.777:1 Ratio Ring and Pinion Gear Set made by Fujita Engineering in Japan. 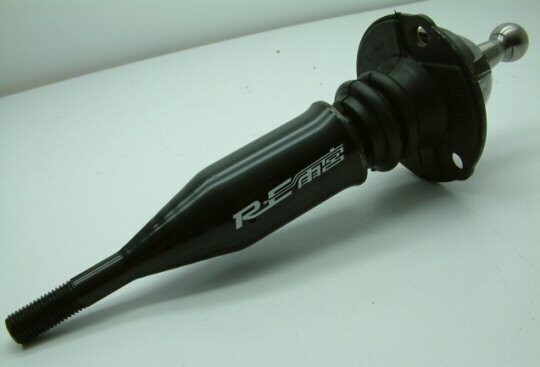 A popular upgrade for RX-7 and RX-8 Track Cars as it will increase vehicle acceleration, however it is worth noting that you will loose a little top speed in each gear. 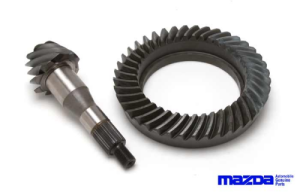 Like the Mazda 4.777 gear set only at a more affordable price. This gear set will fit both RX-8 and RX-7 FD3s differentials. 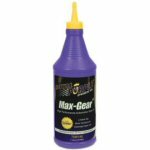 This FEED gear set is a special order item only, and cannot be cancelled. furthermore due to the fragile nature of final drive sets we are unable to accept returns or exchanges due to risk of damage if handles improperly. This Racing Beat Stainless Braided Clutch Line is a great upgrade for your standard rubber clutch hose. Helping to transfer pressure to the clutch instead of turning it in to flex in the line. A great addition to both street and track cars. 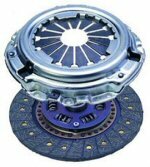 This is a worthwhile upgrade if your considering an uprated clutch. asy to install with the Unique Racing Brake swivel ended connections. Please allow up to 14 days for delivery if item is out of stock. 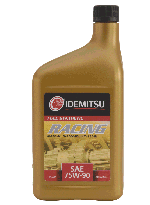 Add an extra 1 litre of oil to your FD's differentials capacity. 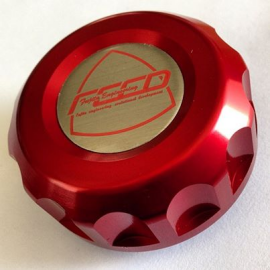 Increasing the capacity of your differential is something that is quite often overlooked on a performance car. Though the stock Diff holds around 1.4 litres of oil incresing its capacity can aid cooling of everything back there and prolong the life of your expensive aftermarket Diff if fitted. A great upgrade for those looking to take their car on track. GReddy have taken this in to account by adding internal oil baffles in to the casting to reduce oil slosh under hard cornering. 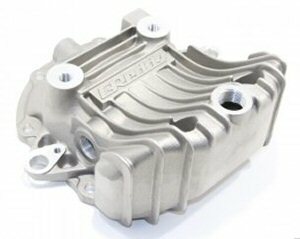 Made from cast aluminium, this cover increases the diffs oil capacity by around 1 Liter, and comes with a high power magnetic drain bolt to help keep all that new oil clean and free from debris. This is currently a special order item only, if your in a hurry for it we would recommend contacting us prior to ordering online for availability.